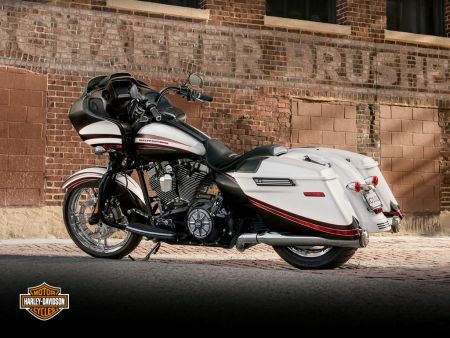 Looking at owning your first Harley-Davidson® Motorcycle or upgrading your existing bike? Here at Richardson’s Harley-Davidson® we can offer you a wide range of finance options from Harley-Davidson® financial services. Whether you are self employed or just work part time we can help. You may not even need a deposit. Additionally, we are the only place in Tasmania that can offer you insurance from Harley-Davidson Insurance Services which are policies designed to meet the needs of a Harley-Davidson® owner. Even if you already have a policy - come and see us before your renewal and allow us to review your policy to make sure it has the cover you require. We are one of the largest sellers of motorcycle insurance in Tasmania – we offer more than just insurance; we can provide extended warranty, tyre and rim insurance, loan protection and many other insurance products. And don’t forget we don’t just insure motorcycles, we can cover your car too at very competitive rates. To same day approvals** and a range of products at competitive rates, Harley-Davidson® Finance can offer the right finance solution tailored to your needs to help you get your dream bike. All loan types can include genuine parts and accessories and Extended Warranty. Everything you need is financed with one loan, so there’s only one low monthly payment. We make it quick and easy, so you’re riding instead of waiting. Your next step to hitting the road is applying for Finance at Richardson’s Harley-Davidson®. Apply today - you may be surprised how easy we can make it for you!